My fiance and I have been watching it again (I’ve watched it several times, but I was hesitant to recommend it to him. We have wildly different tastes, and if I recommend something he doesn’t end up liking, I have to re-build up my recommend-cred before he’ll watch something I want him to watch again). The series is hard for him, because Sherlock isn’t necessarily a likable character, but I thought the who-dun-nit aspect would draw Michael (my fiance) in. Christmas at Baker Street — the entire scene. Wow! “You always say such cruel things” And for a moment, you nearly see the regret on Sherlock’s face. He really didn’t mean to hurt her… was almost ribbing her like a brother might. Flight 007. LOVE how it ties into the very beginning of the episode. So cool! The showdown – “I am _ _ _ _ locked.” The funny thing is, I was always paying so much attention to the actor’s faces in this episode, that I didn’t notice what the screen said until this watch-through. “Run!” Somehow, I think this is almost a happy ending for the two of them… partly because I’m not sure Sherlock emotionally could handle a sexual relationship with anyone. I think the fact that he can love Irene from afar is enough, with the hope that later, perhaps they both can change and grow enough to be together. I think if they tried to make it work now in their relationship, they might break each other, quite unintentionally. It’s like you were saying about the Count of Monte Cristo, where they both grow and change and are different than they were when they met, but the changes they both go through pull them together. 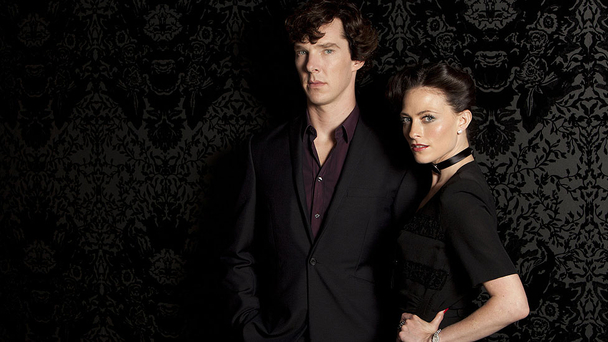 On a side note, I think there could be a pulse-pause moments written about Sherlock and Watson in this series. Not that they are necessarily romantically inclined toward each other, but there are some ways in which the show gives us enough fodder to ‘ship them, or at least analize their arch through a romantic lens. 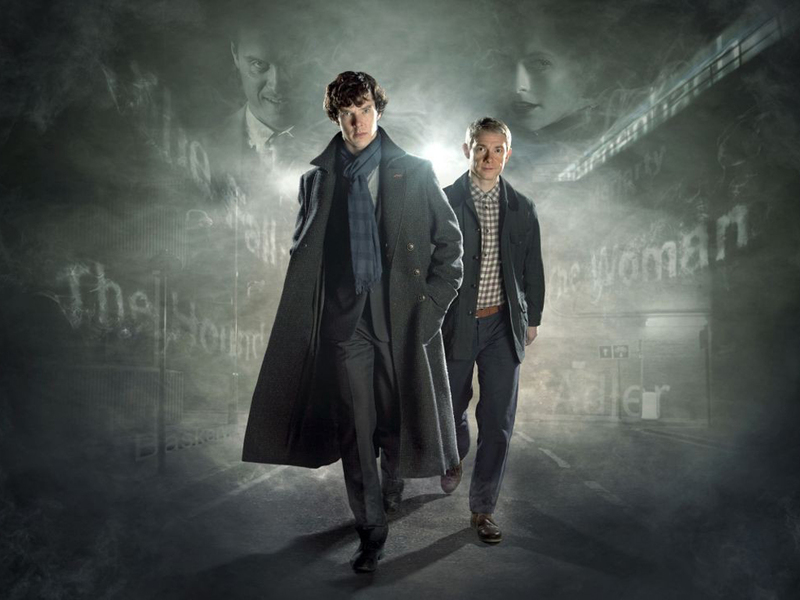 If we were going to talk about pulse-pausing moments for these two, the Hounds of Baskerville and the whole, “I don’t have friends” would be a great talk about it. Not that I’m telling you what to do. Clearly, the series and this particular episode has bitten you, too. 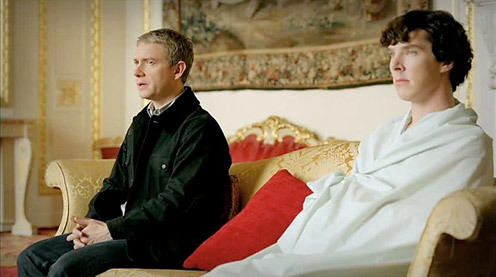 It sounds like Sherlock is being callous, but what he’s really doing is refusing to play Moriarty’s game. Which, ultimately, was just as well. But you make a good point, Jennifer. There’s enough pulse-pausing moments between John and Sherlock that it’s worth a post all on it’s own. I’ll add it to the calendar. “Don’t make people into heroes, John: heroes don’t exist, and if they did I wouldn’t be one of them.” Ah, but there, I think that is a moment when Sherlock is lying – or if not lying, he’s being a hero, but in a way that John doesn’t realize, not seeing the big picture the way Sherlock does. Because I think Sherlock does care – but caring won’t save people. He can’t allow himself the caring, because that is intellect and thought he could be spending on beating Moiarty. We know from the elder Holmes that Sherlock wanted to be a pirate when he was a child, and even though he has the mind of a scientist, he chooses to solve mysteries. 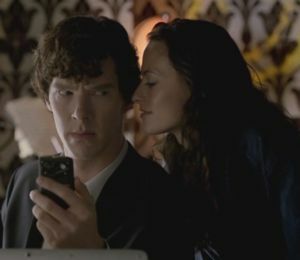 (So we know there IS a sentimental side of Sherlock, and even a romantic side – look at the grand gesture of saving Irene Adler – the cell phone, etc). 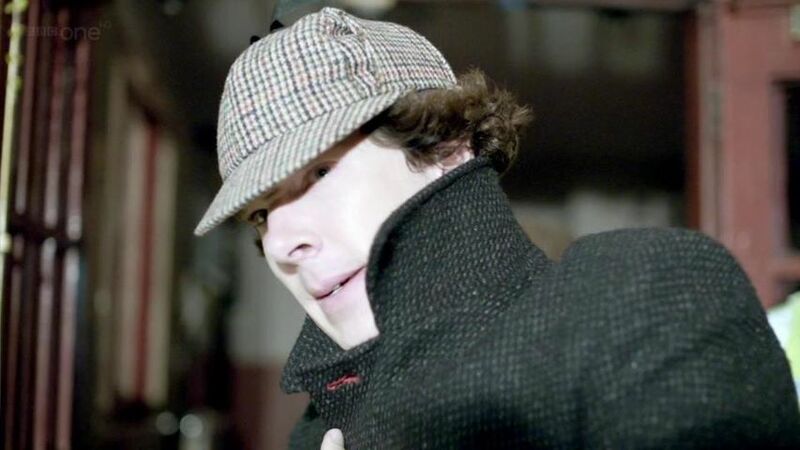 He solves mysteries for reasons beside the fact that it displays his intellect and offers him a challenge (there are many other fields that he could have the same satisfaction). 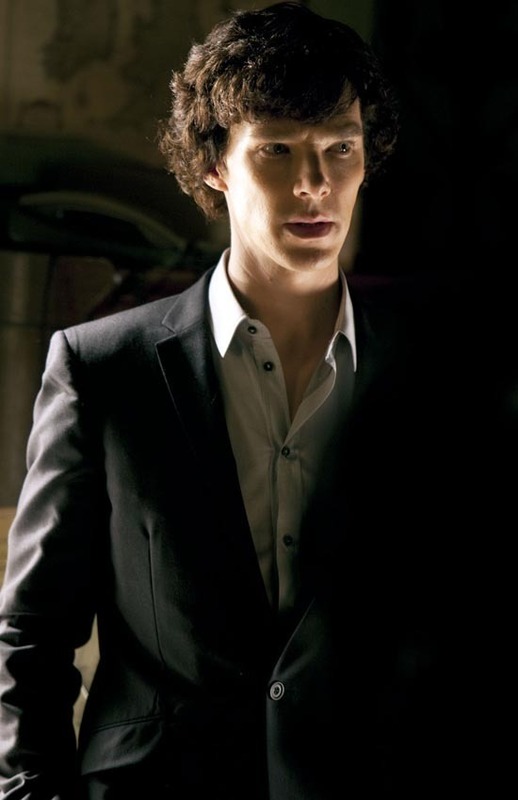 He COULD be a criminal like Moriarty – he has the ability and the connections. He even says to Moiarty that he might be on “the side of the angels” BUT “he is not one of them.” This I think, proves that Sherlock is heroic, because it is his choice to be on the side of good, it is not, like perhaps John, a natural thing, but a conscious choice. This circles back to the statement in the first season, where the detective says “he is a great man, and some day, if we’re very very lucky, he might even be a good one.” I think the series is watching become that good one, because in many ways John (again, the transformative heroine, except it’s John). Mycroft even sees this, and says such to John. … and somewhere in here there was a final point, but I have lost it. Actually, I think you did make your point quite nicely, anyway. The scene perfectly underscores the fact that Sherlock is a highly emotional man who would much rather not have to deal with emotions. Any emotions. He’s set up his life in such a way he can generally avoid emotions…but he IS human, and they do sneak up and smack him around, and he has to learn how to deal with them. Sherlock’s success (or not) in learning how to deal with emotions (and all the human stuff that goes with them – like friendships, relationships, etc) will be the deciding factors in what makes him a great man. I’ve just started to watch this on Netflix, after reading one of your posts, Tracy. Are there only three episodes in the first season? That’s all I’m seeing, but sometimes Netflix is kind of slow. They get me hooked, then take it away. Like Spartacus. But I won’t go into that now, the day has been pleasant so far. Yes, there’s only three episodes per season. It’s a strangely constructed series – you get three 90 minute episodes per season, and no ad breaks because it’s the BBC, so it’s a solid 90 minutes each. It’s like three movies per season. Looking forward to chatting with you tomorrow, too! You’re so right about all of this. I just had to comment because you mentioned what a tearjerker The Reichenbach Fall is, and I had to agree. I rewatched this just the other night and sobbed through most of it. I especially love all the little nods and digs at the books/stories – they don’t mess up viewers who haven’t read Doyle, but if you have, they provide an extra level of enjoyment. My favorite so far is “Rache” – in the first episode Sherlock slams Anderson for his interpretation of the word and says it’s something else… but in the book it actually plays out in completely the opposite way. I love that playfulness.